Why Use Printed Shade Cloth for Outdoor Advertising? With all of the advertising options available today, it’s easy to look past the basics. Printed shade cloth is a simple, affordable and effective choice for anyone looking to promote a business. It is resilient and widely used for building or construction sites, crowd control barriers and multi-level scaffolding. Shade cloth is highly customisable and tailored to fit around the perimeter of your project. The cloth can be endorsed with your company logo, text, images or contact information; the possibilities are endless. What began as a solution for keeping dust under control with moderate visibility, the printed shade cloth has become one of the most popular and accessible advertising tools on the market. Quickly and easily design or transfer your own logo onto a professional grade mesh banner to bring more buzz to your brand. Most shade cloth providers offer digital design services so you’ll see a preview before the product is made, giving you the power to pick and choose what you like. Savvy project managers are turning to shade cloth as a respectable outdoor advertising medium that keeps costs low. Other advertising methods require thousands of copies to be made and distributed. With a shade cloth, you know exactly where your money is going. The materials used to create printed shade cloth are made to endure various climates. Because the printing process is crafted for the outdoors, you can rest assured that the ink won’t scratch off or run (another advantage over other screen-printed ads). The sturdiest type of shade cloth is made from high density polyethylene (HDPE), which is known for its reliability under the most extreme weather conditions and never disintegrates. What’s special about printed shade cloth is that each banner is made for a specific project. It’s available in various colours, heights, and widths to maximise the space. The cloth is made to fit your particular space requirements, and saves you wasting time searching for signs, simple banners or stencils that match the area’s dimensions. Imagine your logo draped across a multi-storey building. Shade cloth is made to be exceptionally visible to the public, from drivers to pedestrians. The purpose is to bring awareness to your brand; one of those passers-by could be your next client who found your contact information printed on the shade cloth you organised. In addition to promotional purposes, shade cloth is an excellent tool for environmental protection for whatever perimeter it protects. The eco-friendly material is known to provide excellent UV sun protection, contain debris, minimise dampness and promote ventilation. This entry was posted in Outdoor Advertising on April 28, 2014 by Site Shade Admin. There are so many great ideas out there to market and advertise your business and brand and Outdoor advertising mediums are a fantastic way to express your brand message. Whether it’s a large bold influential statement or a smaller more subtle missive, using outdoor platforms brings your message to the people where it can get the best exposure. So what’s the best method to convey your individual message? Take a walk through this list and see if there’s a right fit for your brand. 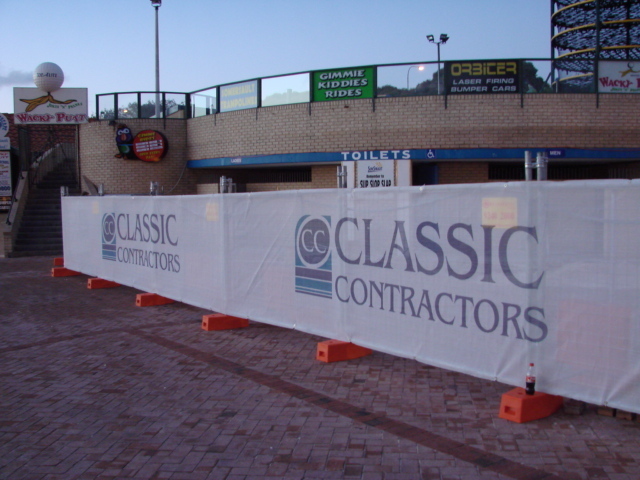 Printed Banner Mesh and Shade Cloth are the ideal way to spread a broad message. 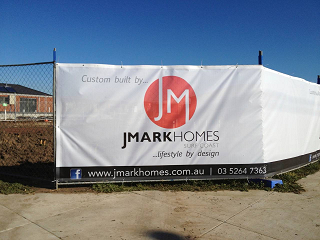 Utilising logos and contact details, this form of advertising is generally a short to medium term usage and is often times used in conjunction with construction or work sites. This form of advertising is very popular with developers and builders and can be seen everywhere. A Frame Corflute signage is ideal for shopfront advertising within shopping precincts and main streets. 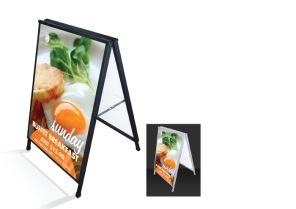 A compact and mobile advertising medium, these sorts of signs are perfect for short term promotional advertising but can easily be used as a long term advertising solution. 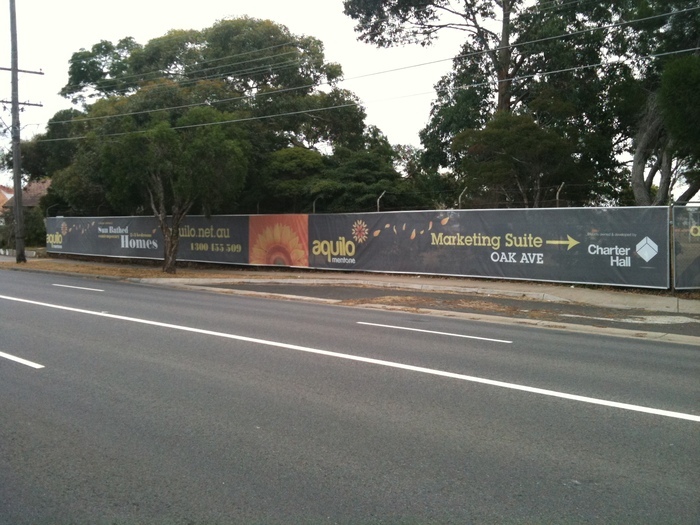 There is no grander way to convey your brand message than through the use of Building Wraps and Billboards. Immense and awe inspiring, advertising of this magnitude is designed to overtake, overwhelm and excite the target audience until they are compelled to follow the brand. Transit Stop advertising is probably one of the widest spread outdoor advertising medium used. An extensive opportunity for wide spread visibility to a huge variety of audiences is available when using this type of advertising as this is seen by commuters, other road users, joggers, dog walkers, anyone and everyone really! 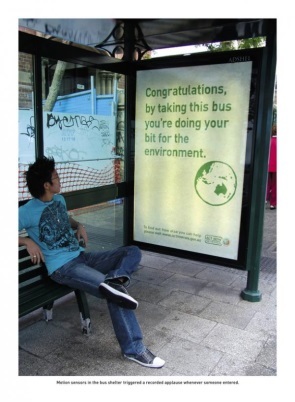 Moving advertising comes in a few different forms, whether it’s public transport, i.e. 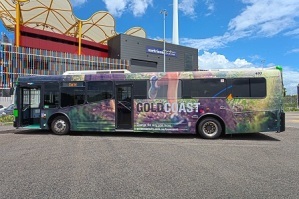 trains, buses, trams or planes, or taxis it has a further reach then almost another outdoor advertising channel. A constantly moving, diverse tool, a vehicle that features advertising is effectively a mobile billboard and perfect for long term advertising. 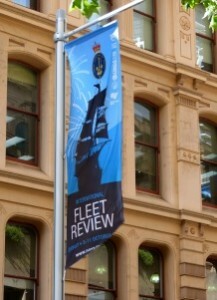 Mounted flags are a dynamic way of advertising current events, sales and conveying your chosen messages in a more personal fashion. Although this form is normally physically placed close to the business centre, i.e. Museums, Theatres and Art Galleries use flags to promote exhibitions and shows, it is still a very effective form of broader outdoor advertising as the flags are still designed to be highly mounted and visible. 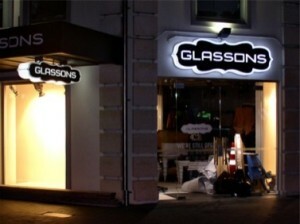 Illuminated Signage is an iconic brand awareness tool that delivers a specific message. Shop fronts use Illuminated signs to promote their logo and name within their close environment, these kinds of signage can create a warm and comforting feeling, especially in the evening when people are heading out to dinner or for some late night shopping. The logos become trusted for their availability. 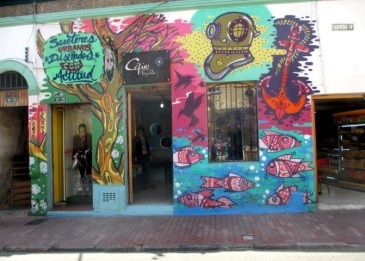 Free Form Artwork Murals or Legal Graffiti has emerged as a valid and forward thinking from of signage recently. The art form transcends industry and age and can be a very appealing from of advertising to a diverse audience. The increasingly popular youth culture surrounding music and body art has seen a strong following for Free Form Murals and Legal Graffiti and with artists of the likes of Banksie being commissioned to create artworks all over the world this is becoming a valid and popular form of outdoor advertising. Possibly the cheapest and easiest form of outdoor advertising is Walking Adverts, t-shirts, jackets, hats and all sorts of articles of clothing branded with company logos, artwork and products wandering around giving notification of who they are. Celebrities, sports people, socialites and personalities alike are commissioned to wear branding, i.e. sports people walk down the street everyday wearing their sponsored brands! We trust tradesman that advertise their services on their work attire because it gives us a sense of security. Outdoor advertising can be in a huge form or a relatively small one but there are so many ways to get your brand message across. Learn more about our printed shade cloth now. This entry was posted in Outdoor Advertising on July 8, 2013 by admin.